Murder. Corruption. Romance. Movie stars. A modern day TV shoot â€˜em up? No. 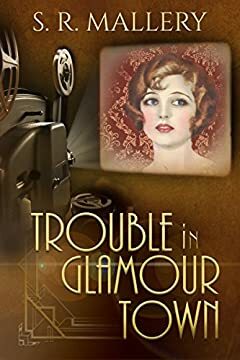 Itâ€™s 1926 Old Hollywood, and a film producer is gunned down in cold blood. In comes Rosie, a pretty bit-player, who, in spite of her stage-motherâ€™s expectations, just longs to be happy. Silent screen idols Clara Bow, Gloria Swanson, Lon Chaney, and Rudolph Valentino float in and out, as Los Angelesâ€™ corruption is exposed, the era described, and a chase to find the killer revs up before thereâ€™s another hit.